Forgot your mobile phone Password lock, PIN or Password? Or your fingerprint lock is not working? When it comes to your smartphone, you need to keep it locked either by Password lock or fingerprint lock. You don’t want your email, bank details, photos, videos, social media accounts, or even notes to be easily accessible to anyone who uses your smartphone. Other than that, what if you lost your cell phone by mistake, you might just leave it at a restaurants table or in a cafe so yeah, it is by nature necessary to lock your mobile phone using Password lock or fingerprint lock or even both. Well, it happens for most Samsung Galaxy smartphone users that they either forget the “Password lock”, or the “fingerprint lock” does not work for them sometimes. Below, you will find a list of “9 ways to Bypass Samsung lock screen”, including ways to unlock fingerprint lock, Password lock and pattern pin. Choose the one that suits your situation! This feature from Samsung enables you to Bypass Samsung lock screen and erase your forgotten Password lock, Bypass Samsung fingerprint lock and pattern pin. Log in to your Samsung account from PC or any other phone. Click “Lock My Screen” button. It’s done! Wait a few minutes and it will change the Password lock to the new PIN that you entered in step 3. Use this only if you have the Android Device Manager enabled on your mobile phone, it will allow you to set a new password. You can also erase all the data from your smartphone if you want using this way. Eight Steps? Don’t worry. It’s fast! Go to Google Android – Device Manager using any mobile phone or PC. Log in using the same Google account that you used on your mobile phone. Choose the mobile phone you want to unlock from the window. “New lock screen” window will pop up, enter your new password and confirm it, below you will find an option to add a recovery message, and you can choose either to use it or not. Click on the “Lock” button that is next to cancel. If it’s all good you will see a confirmation message with “Ring, Lock, and Erase” buttons, then check your phone, you will see a required password field, just enter the password you entered in step 5. Go to settings and disable the temporary password. Done! 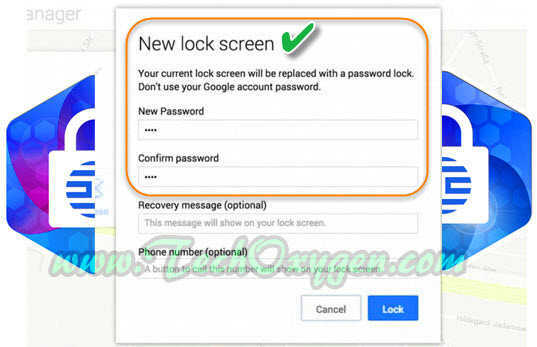 Using Dr.fone – Android Lock Screen Removal you will Bypass Samsung lock screen including your Password lock, fingerprint lock, and pattern pin under 5 minutes only! Remove Password lock screen under 5 minutes only. Removes all screen lock types – pattern, PIN, password & fingerprints. Supports any carrier including T-Mobile, AT&T, Sprint, Verizon etc. Works for all “Samsung Galaxy, LG, Motorola, Huawei, Alcatel, Sony Xperia” and many other android devices. Available to download on Windows and Mac. Click on “More Tools” menu Choose “Android Lock Screen Removal” then connect your Samsung mobile phone to the PC and click “Start”. Turn off your mobile phone, hold home button, volume down and power button simultaneously and then press volume up button to get into the download mode. Download the recovery package to your mobile phone. Once the package is downloaded, you will see the process and your mobile phone Password lock will be gone. Enter the wrong pattern five times in a row. Enter your Google account login or backup PIN. Congratulations! Now your phone is unlocked. 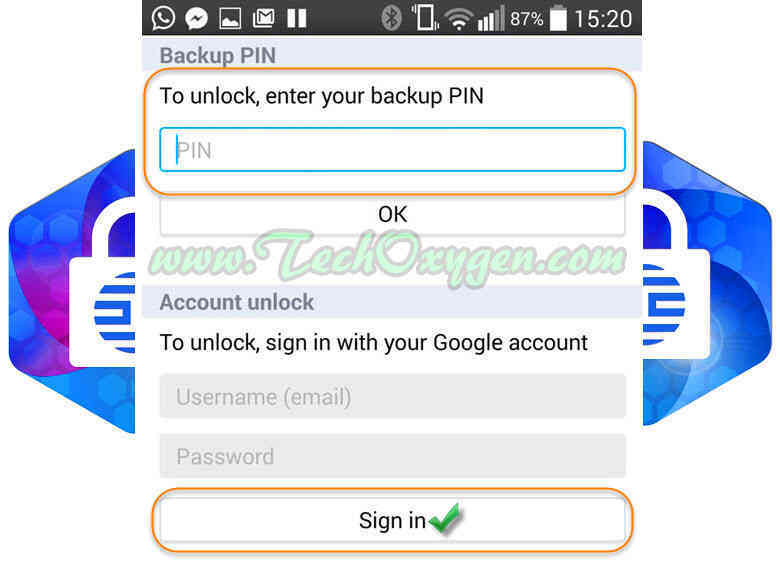 In order to Bypass Samsung lock screen using this way, you need an SD card for your mobile phone and a person who at least knows what are “custom recovery” and “rooting”, if you do, then just install any kind of customer recovery and follow the below steps. Download a zip file on your PC named “Pattern Password Disable” then copy and paste it to your SD card. Insert your SD card in your mobile phone. Restart your mobile phone in the recovery mode. Install the ZIP file in your card then restart your mobile phone. Congratulations! Now your phone is going to start without the Password lock screen. Don’t worry if you see a Password lock on your screen, just put any password and it will work. Use this method to ‘Bypass Samsung lock screen’ from “Samsung S8, J7, S3, S4, S5, S6, S7, On 5, On 7, note 4, s6 edge” only if you’ve previously connected your android device to the PC and enabled USB Debugging. Use your USB cable to connect your mobile phone to your PC. 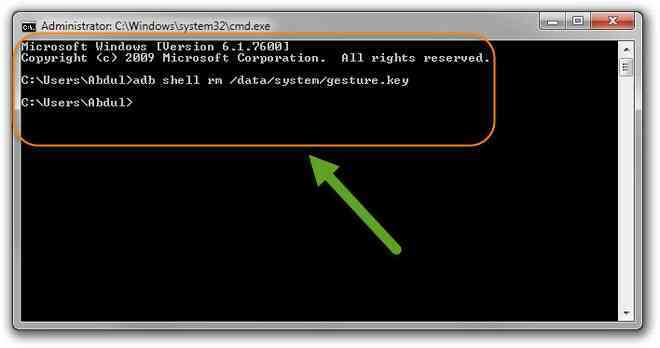 On your PC, search for command and open it, then copy “adb shell rm /data/system/gesture.key” and paste it in the command, press enter. Restart your phone and it will start with no lock but you must set a new Password lock, fingerprint lock or pattern pin before you ever restart it again. Hold the (Power button and Volume down) at the same time, then a menu will show up. Scroll down to “Recovery Mode” using the volume down button and select it by pressing on the Power button. Hold the Power button and press the Volume up button one time only. You will see many options there, scroll down using volume down button and choose “Wipe Data/Factory Reset” by pressing the power button. When it finishes, select “Reboot System Now” and your phone will start like it’s new. 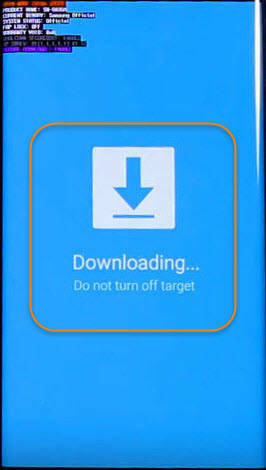 If you are using other than the phone’s lock screen app, then you can Bypass Samsung lock screen using this way. Open up the Power menu from the lock screen, press and hold “Power Off” option. It will ask if you want to boot in safe mode, choose “OK”. Your phone will start without a Password lock screen. Uninstall the app that you used to set your forgotten password. You’re done! Restart your mobile phone to get back to the normal mode. This one works but not on all mobile phones. Try your luck! Call your phone from any another phone. Press the back button without disconnecting the call. Now you can access your mobile phone normally, just go to settings and remove the password, it will ask you about the forgotten password so just try any different ones that you remember. You don’t want to forget your password again! To avoid this from happening again, you can just write your Password lock and your pattern pin somewhere on your PC, or a small piece of paper and just put it in your wallet so you can find it wherever you go! Dr.Fone is considered as the top provider for Android and IOS recovery software across the world, so it’s highly recommended to use dr.fone Android Lock Screen Removal when you have any related problems, it will help you to Bypass Samsung lock screen under 5 minutes and without losing any data you have on your mobile phone. Last Words: So, this is the complete guide to remove screen lock, locked pattern, locked PIN, Password lock, Fingerprint lock from “Samsung S8, J7, S3, S4, S5, S6, S7, On 5, On 7, note 4, s6 edge” devices. Z3X Samsung Tool Pro lets you unlock Samsung Galaxy Devices, it also help to perform “Flash Procedure” and to repair IMEI , Network, NVM, Camera, and Unfreeze the Phone etc. z3x Samsung Tool Pro V26.7 supports all the latest and previous variants of Samsung Galaxy company. 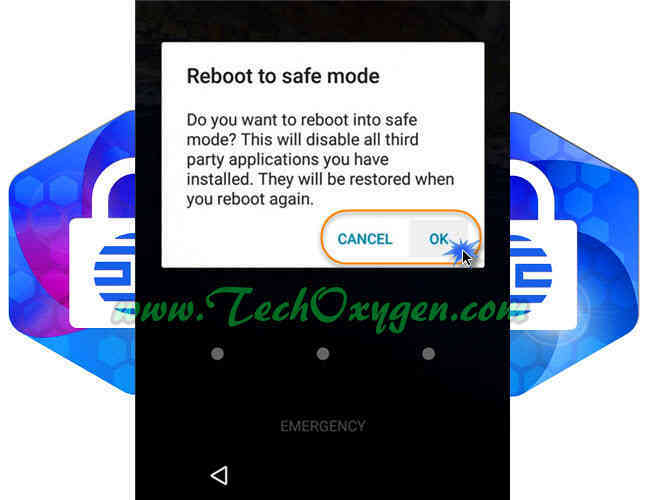 It helps to unlock or delete Factory Reset Protection (FRP) from Samsung android devices. z3x provides a large group of networking and they workds for other smartphones as well. Such as LG, Huawei, Sony Xperia and other variants companies. You can select the Phone Model easily by searching in the “Quick Search” bar of this software. This software will show you the information about required cable for each model automatically. Then should go to the FLASH section and upload the downloaded combination files here to perfom the unlock or deactivate FRP operation. 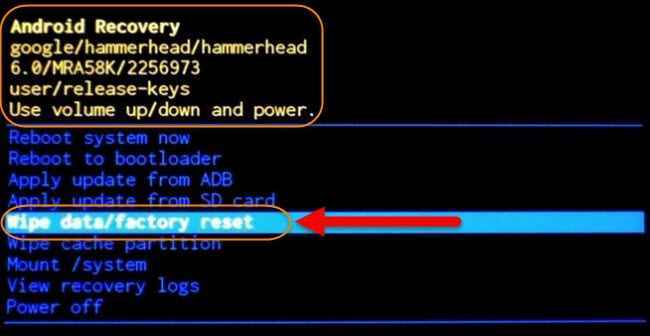 FRP bypass Samsung latest method to remove google account verification after hard resetting your Samsung galaxy phone. Best free working method so far. Fortunately, this is a safety lock for Samsung users, they took decision to make a lock that works as a protector to secure their users important data. That’s true many users are glad to have that protection in their devices but at the same time there are also users who are suffering from this FRP bypass lock and wanted. Samsung’s old variants like Galaxy S4, S3, Note 2, Note 3, Tab 3 and many other having Android Kitkat 4.4.1 does not have this security system. As the other devices such as Galaxy S6, S7 Edge, J3, J5, J7, Note 5, Note 7, and A5, A6, A7 having Android 5.0.1 or higher does have this security feature. So, for any reason you hard reset your Samsung device this security system will activate until you submit the right Google account details and pass the verification. This guide is the solution for all the problems. In this article we are here with the help for you to FRP bypass Samsung. After Hard Reset or Factory Data-Format to any android phone, you won’t be able to use it until you enter the previous synced Google Account details. Nowadays many Android 5.1.1 or 6.0.1 Marshmallow and above users face this situation after resetting their smartphone. 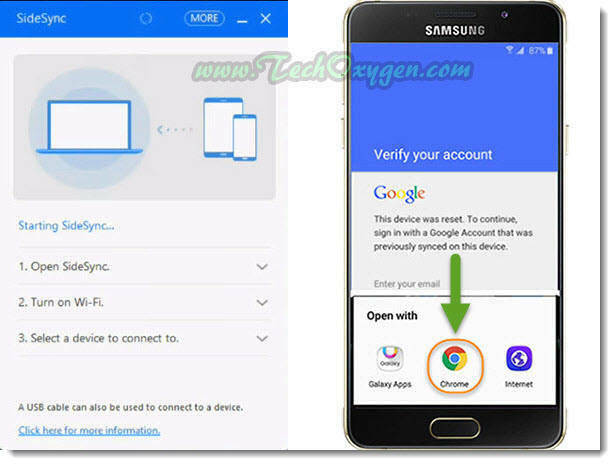 If you are one of them use this simple tutorial to remove submitted google account from your Samsung device. Step 1: Go to SAMMOBILE from your PC and login with your account, If you don’t have any account so make a new one. Then type your phone model on the search bar. then from the left hand side, Select country. Then download any Firmware according to your Samsung model number. Step 4: We need to put our Samsung phone into Download Mode before connecting it to the PC. So to do that Power off your phone. Press Volume Down + Home Key + Power Key all together until you see Warning Sign on your screen. Then press Volume UP to put Samsung phone to download mode. Now Open Odin V3.12.5 in your computer and connect your phone with USB data cable to your PC. Click on AP in Odin Software and open the Firmware which you have downloaded before. 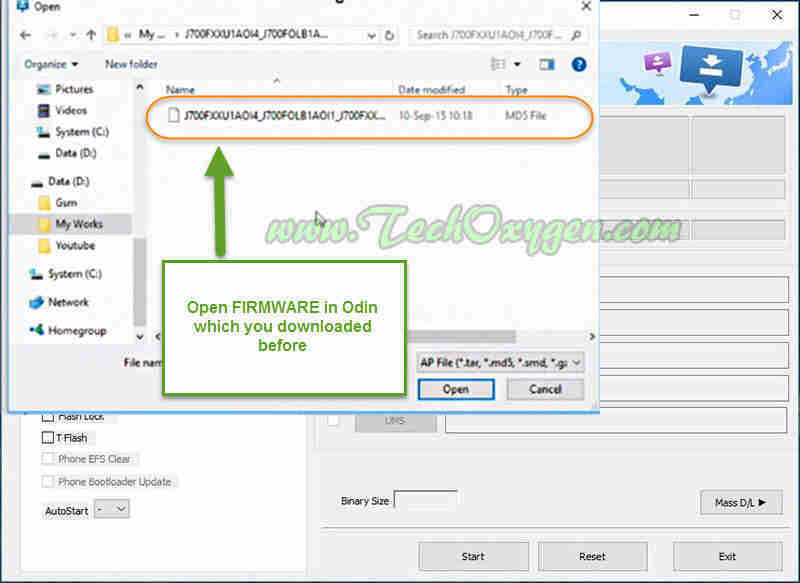 Once the Firmware uploaded into Odin software, click on start to run this operation and wait a few minutes to complete the full procedure. All the files will transfer to your phone, when you see GREEN PASS in Odin disconnect Samsung phone from PC. Now Download and install SideSync Software In your PC or MAC and open it. 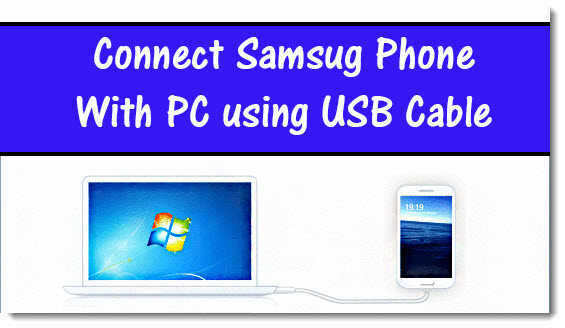 Connect your Samsung phone again with the help of USB cable to your computer. Step 2: After you downloaded the application, Go back and then Terms and Conditions page will appear, Agree with this page and you’ll be redirected to Samsung App Store. Step 3: Click on Search and type ES-File Explorer and download and install this application. 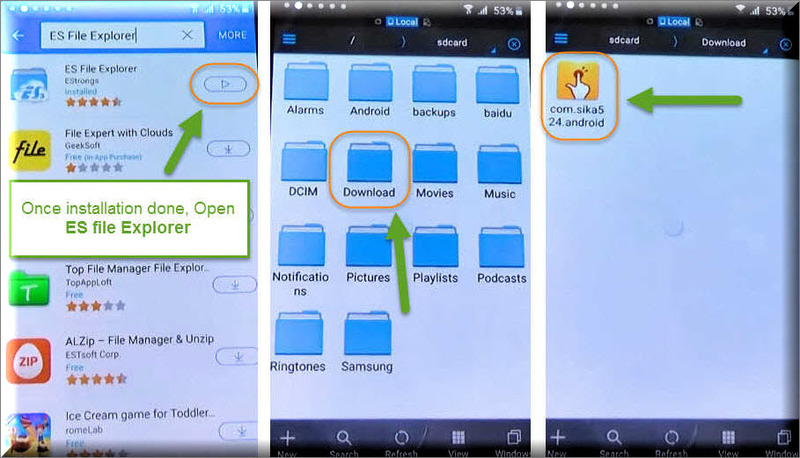 Open Es-File explorer after installed then go to Download folder > Select Bypass Any Samsung.apk > If you see Install Blocked Pop-up, Go to Settings > enable Unknown Sources > then Install the application again. 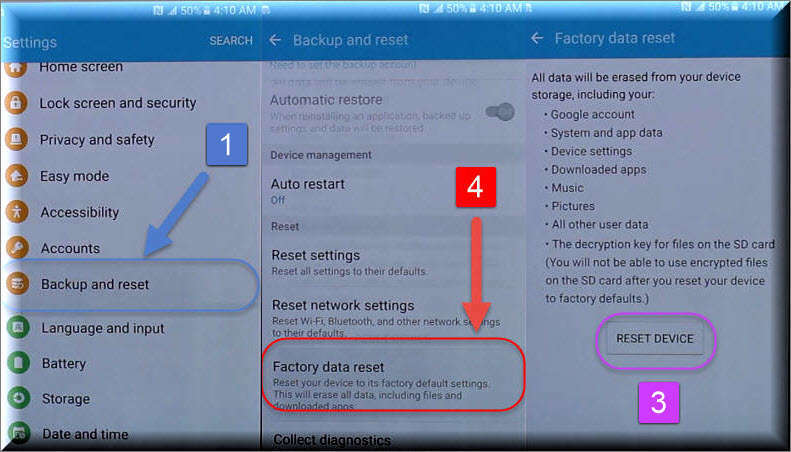 Step 4: Once the application installed, Open it and you’ll be in the Settings of your Samsung phone, now scroll down and select Backup and reset > Factory data reset > then Reset device > and finally click on Erase everything. Congratulations, When you phone restarts, Complete the starting setup of your phone and you will not face FRP bypass Samsung lock screen or Google Account Verification screen in your Samsung device anymore. So, this is the complete step by step guide, i make it very easy so that people who don’t know anything about android issues or solutions can apply this on their Samsung phone too. 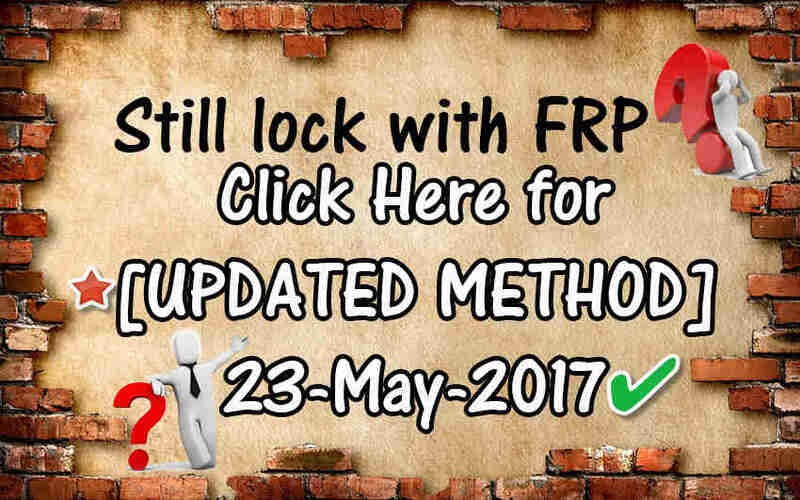 This guide works perfectly on FRP bypass Samsung Galaxy J3, J500F, J7, Note 7, A7, A9, Note 5 and you can use this to bypass google and remove frp lock to any Samsung device but make sure to use the right Firmware for your Samsung model.